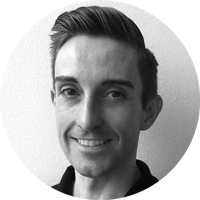 Having recently completed a degree in Physiotherapy, Paul has a fully integrated approach to Pilates specialising in injury treatment and prevention, alongside alignment and fitness. With over 10 years experience as a Pilates teacher, he works closely with clients to ensure that each class is personally tailored to individual abilities. Prior to life as a Pilates teacher, Paul spent 14 years performing professionally in the theatre. A trained dancer, he enjoyed a successful career onstage, starring in hit shows including Starlight Express. "I really like that I can go on line to book and pay for classes and that you can see how many are booked into the classes well in advance which helps me decide when to buy another block of classes and get booking. I attend Paul’s class on Wednesday’s which I really enjoy. He is a great teacher and entertaining. I also enjoy his particular style of Pilates. Everybody is very friendly and it is great to be recognised when you arrive."